Steven Kueffer (left) and Peyton Cole received internships made possible by the InternGF program. The Grand Forks EDC, with seed money from UND, engaged with startups and member businesses to partially fund new internships. Photo by Connor Murphy/UND Today. 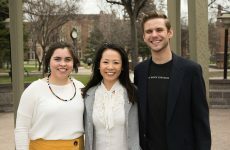 In taking “InternGF” into 2019, Becca Cruger looks forward to an even closer relationship between UND’s Center for Innovation and the Grand Forks Region Economic Development Corp.
One of Cruger’s first tasks as strategic initiatives coordinator for the EDC was creating and running InternGF – a joint initiative to bring more students into local, innovative internships. Its initial run was announced last January and a successful year ensued. “We were hoping to place 10 interns and we wound up placing 11,” Cruger said. With $35,000 in seed money from UND, InternGF was able to provide local employers with up to $3,500. This figure, it was reasoned, could support half of the costs of hiring an intern at a minimum of $10 per hour. Applications for InternGF 2019 opened in October to help employers plan early for spring and summer internship opportunities. 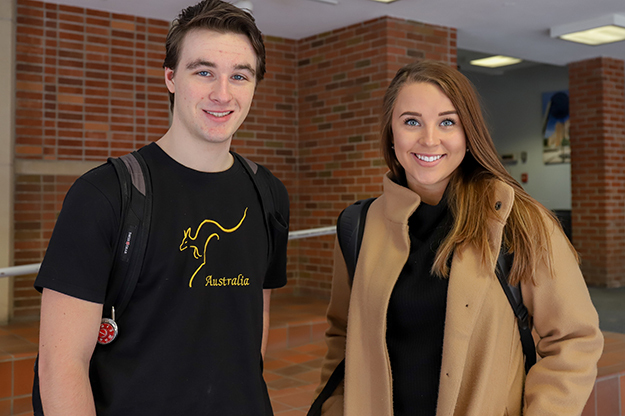 Two students who saw the benefits of such funding were Peyton Cole and Steven Kueffer, both of whom received unique experiences through InternGF. In the case of Kueffer, the experience is ongoing. He saw a posting on the UND Mechanical Engineering Department’s poster board, an area that’s filled with job opportunities by the school year’s end. 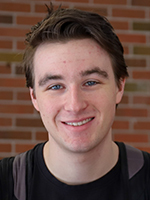 Through Technology Applications Group (TAG) in Grand Forks, Kueffer found an internship that was more hands-on than he could’ve imagined. The engineer-in-training spent the summer doing machine-shop work, learning computer-aided design programs and what it’s like to be in a professional environment as he worked on an automation system for testing parts created by TAG. Kueffer says it has been an effective way to apply what he’s learned on a practical basis. Though InternGF-based funding ran out, TAG has kept him on after his summer stint. Cole agrees that internships are the perfect way to see classroom concepts in the real world. This year, Cole, a junior business management major, got involved with the Greater Grand Forks Young Professionals through InternGF. One of her bigger projects was a SWOT analysis – a process evaluating strengths, weaknesses, opportunities and threats. It was something she learned in class, but it became relevant and meaningful when she applied it to her organization’s marketing presence. 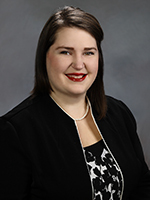 Cole also wrote newsletters, made graphics, created social media programming and assisted in planning Young Professionals events in the community. This helped her attain better understanding of how the organization operated as a whole. Her InternGF experience turned her into an advocate for the program and helped her see how students can become more involved in Grand Forks. It’s a change of perspective that’s crucial for retaining young people. Cole says UND is a gateway to making it happen. 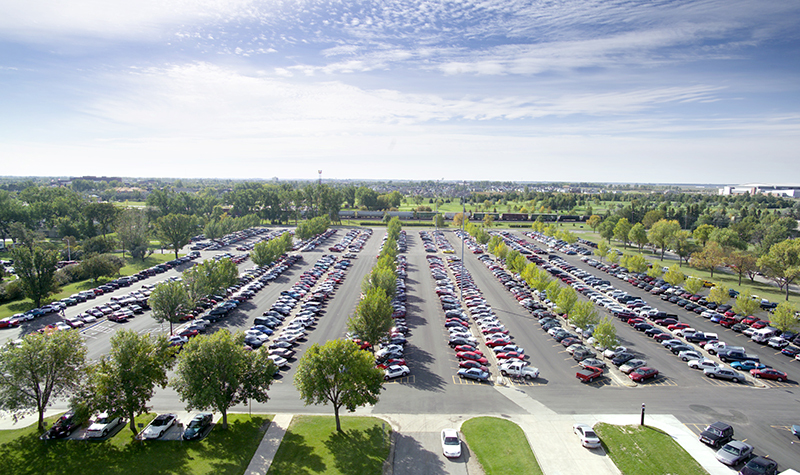 As UND brings in students, a partnership with the city can get them involved. 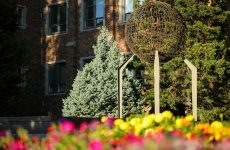 From Cole’s perspective, plenty of students spend four years on campus without exploring the offerings of Grand Forks. Her experience with InternGF helped her establish roots she didn’t have before. 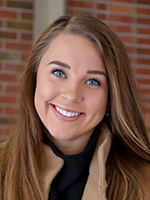 Her internship connected her to leaders and change-drivers that have been inspiring to her as a young professional. Cruger is happy to see success stories coming out of InternGF’s first go, stressing that internships are crucial companions for four-year degrees in today’s job market. The biggest change for the next round of InternGF is the way students interact with the Center for Innovation during their internships. Cruger says the program is establishing touch-points throughout the semester where interns meet with CFI staff. “That component will help them think innovatively and progressively about how they can take their internship to another level,” she said. Cruger also praised new CFI director Amy Whitney, who maintains a focus on student outcomes. Whitney wants to create opportunities for students to leave UND with a background of experiential learning. She says the investment on the part of the University helps students translate their learning into relevant, practical experiences not far from campus.